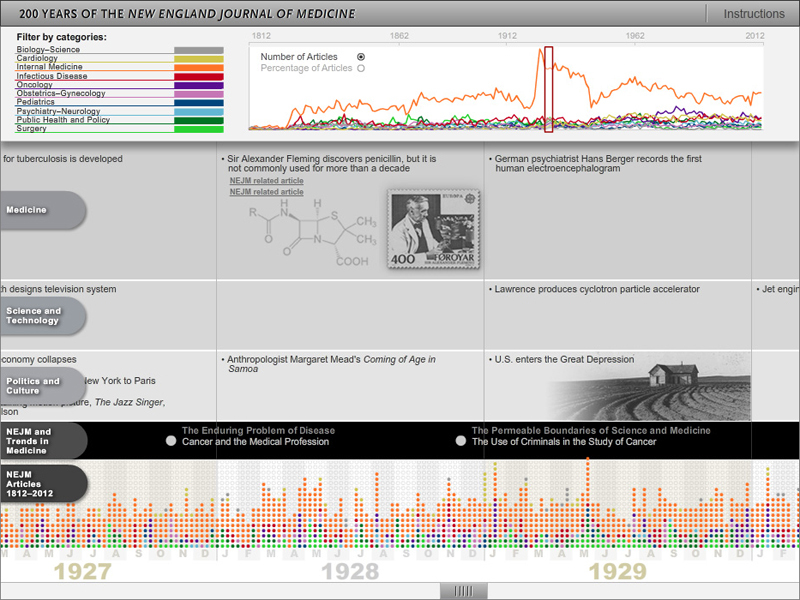 This interactive timeline represents all the research and review articles and case reports published in the New England Journal of Medicine from 1812 to 2012. The expanding navigation panel at the top of the timeline is an overview of the 200 years, with articles color-coded by medical specialty. The user can select categories to display and can view the data as a percentage of articles or as the actual number of articles per year. The coding of this interactive posed a surmountable challenge with over 64,000 NEJM articles to be displayed. Multiple data XML files were used to populate the graphic.